When running a SaaS startup, analyzing the health of your business involves more than looking at your revenue and gross margins. Understanding where your revenue is growing and shrinking is crucial for scaling your startup. This is accomplished through a common SaaS metric, Monthly Recurring Revenue (MRR) Churn Rate. 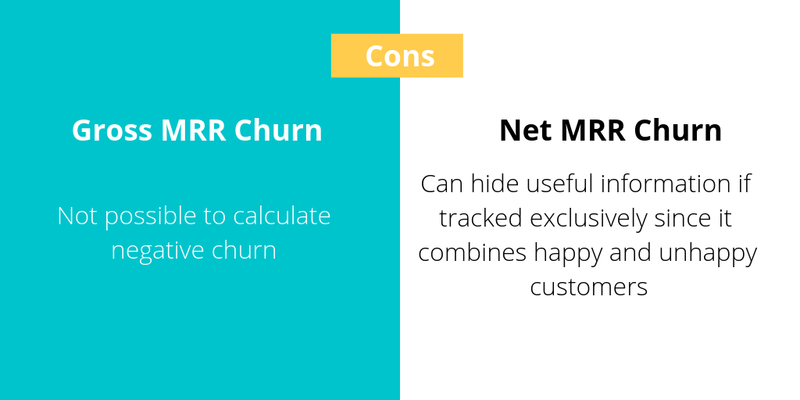 In this post, we will cover everything you need to know in order to understand and calculate Gross and Net MRR Churn. The Gross MRR Churn Rate allows you to estimate the total loss to the company by giving a realistic picture of your revenue churn. This value indicates if the business is healthy or not as it is a clear indication of product market fit and targeting the right customers. 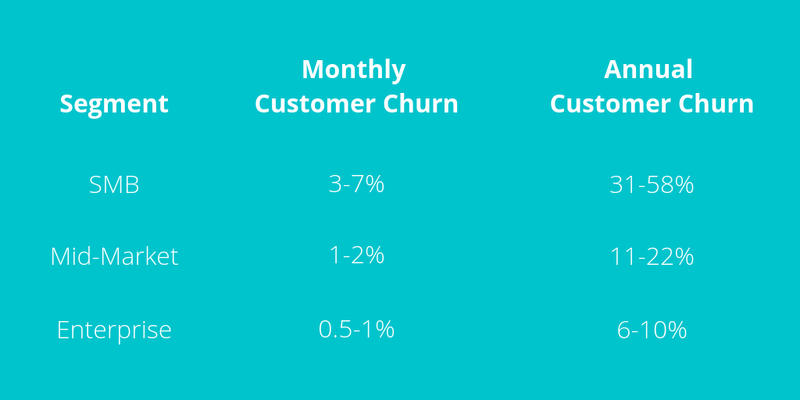 A high churn rate is toxic to any SaaS business. 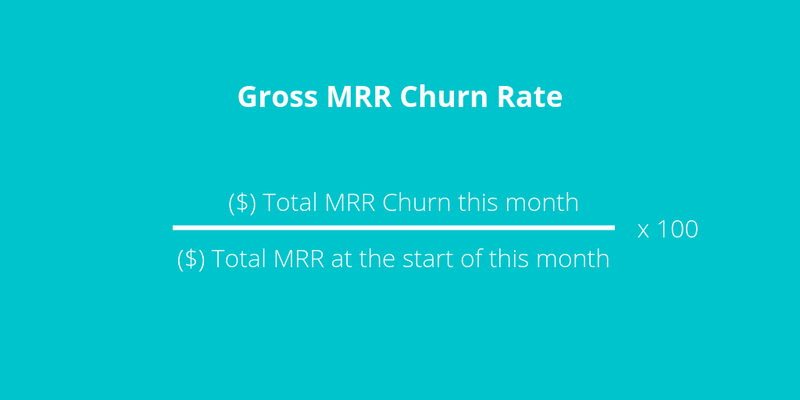 How to Calculate Gross MRR Churn Rate? Gross MRR Churn Rate is calculated by summing the amount of all canceled contracts for the month (MRR churn) and dividing it by the total MRR at the beginning of the month. Then multiply this value by 100 to convert to a percentage. It is important to keep in mind that it is possible to have negative churn, but it is not possible when calculating Gross MRR Churn as the lowest possible rate is 0%. Therefore, calculating Net MRR Churn Rate is useful if presenting SaaS metrics to investors. 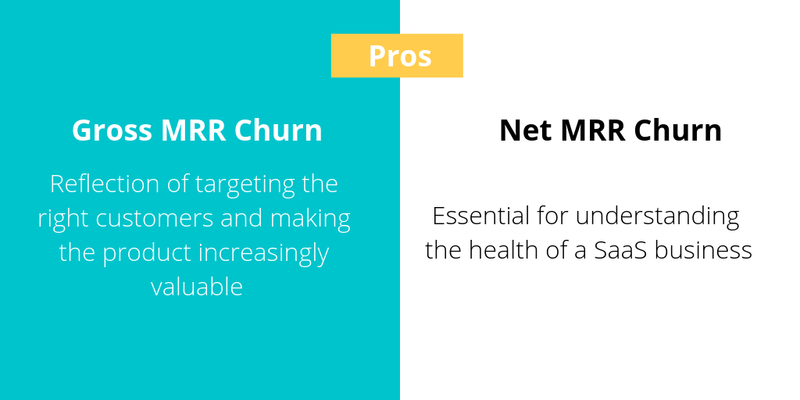 Calculating Net MRR Churn Rate is essential for understanding the health of your SaaS startup as it is one of the most significant obstacles to growth. By factoring in expansion MRR, net churn gives you a snapshot view of growth and paints a more positive picture. Ideally, SaaS companies should aim for a zero or negative churn rate to take advantage of new MRR. 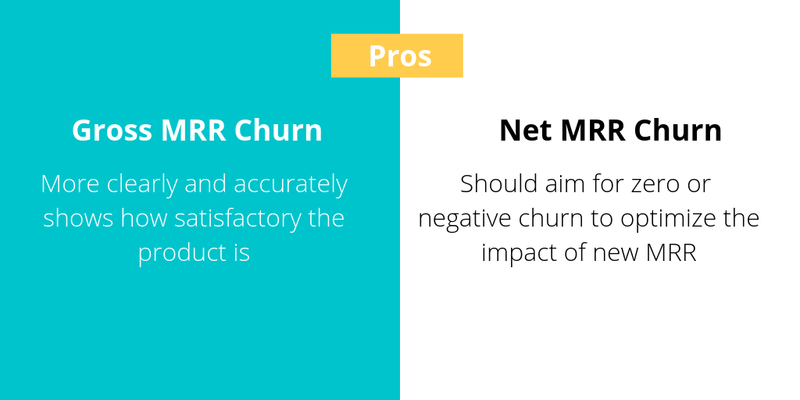 How to Calculate Net MRR Churn Rate? 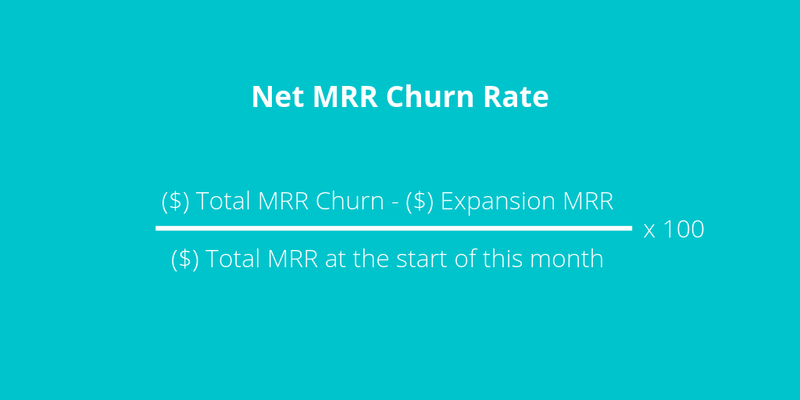 Net MRR Churn rate is calculated by first subtracting Expansion MRR (i.e. revenue gained from upgrades or service expansions) from MRR Churn. Divide this value by your MRR at the beginning of the month. Then multiply it by 100 to convert to a percentage. From the same example above, imagine an opening MRR of $50,000 and $4,000 worth of contract cancellations and downgrades. The company had two customers upgrade to a premium plan, resulting in an additional $2,000 in MRR. What happens if your expansion MRR exceeds the churn MRR? This will result in what we call a Net Negative MRR Churn Rate. Continuing with the example above, if everything else stayed the same but churn drops to $1,000, then the net (negative) MRR churn rate would be -2%. 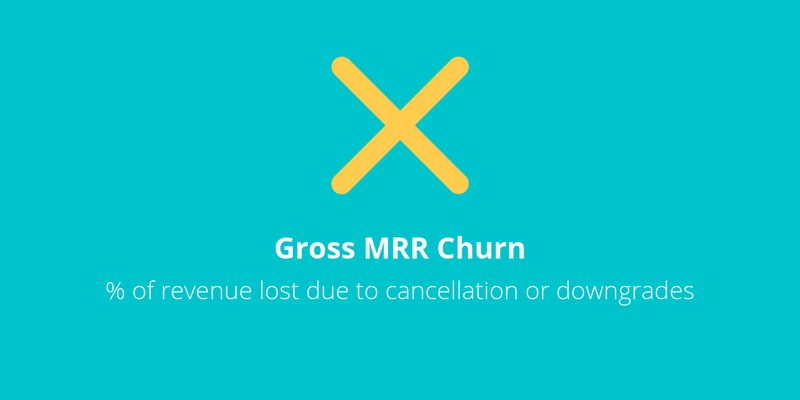 Gross MRR Churn calculates the percentage of revenue lost due to cancellations or downgrades. This metric provides a realistic picture of your business’s revenue churn while helping you understand the overall health of your business. 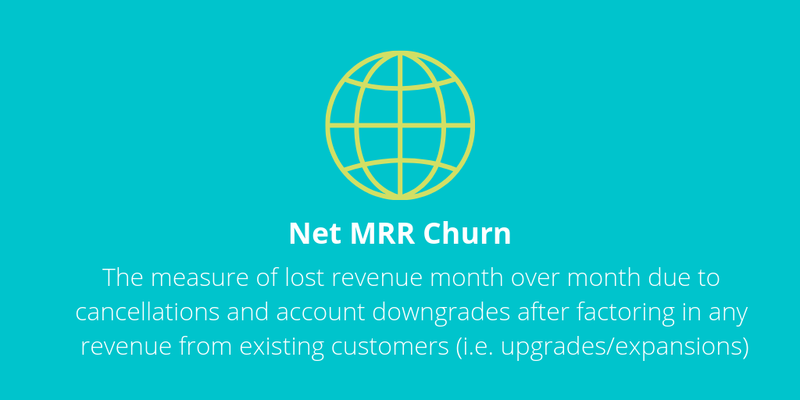 Net MRR Churn measures lost revenue month over month due to cancellations or downgrades after taking into account added revenue from existing customers. This metric paints a more positive picture, offering insight into your customer upgrade activity. Businesses often use this metric to measure the efforts of their customer success team.